"The formation of the Sustainable Business Council provides an opportunity for business to take greater leadership in promoting sustainable development and Sanford is pleased to be a part of this excellent organisation. As New Zealand's largest quota owner (by tonnage) we are motivated to support the sustainable management of our nation's fish stocks. We also aim to continually reduce the environmental footprint of our operations." 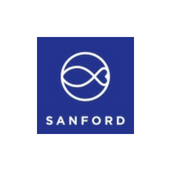 Volker Kuntzsch (CEO, Sanford Ltd) and Carl Carrington (CEO, Aotearoa Fisheries Ltd) talk about their collaborative work, how this benefits their businesses and the New Zealand seafood sector.